The Casa del Ayuntamieto or city hall is on the other side of the plaza. 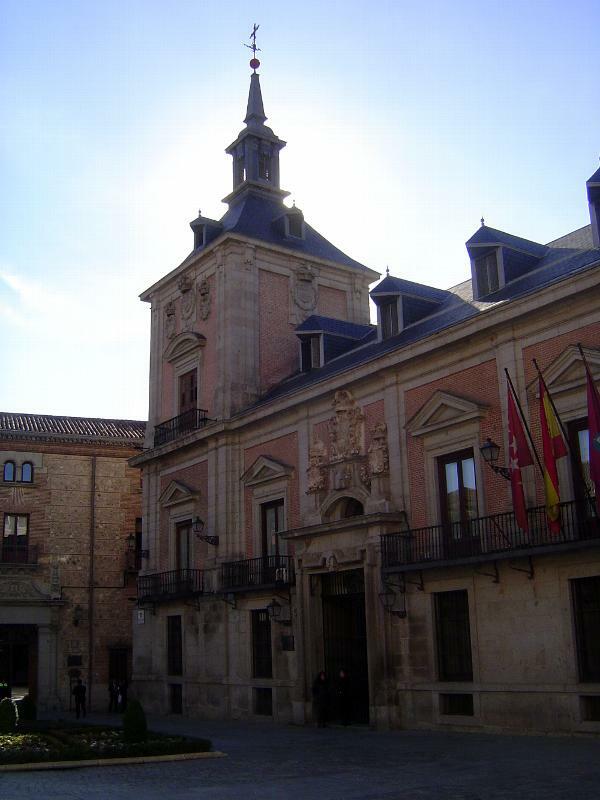 Begun in 1644, it was designed by Juan Gomez de Mora, planner of the Plaza Mayor. The doorways, Ford writes, "are later, and bad."